Police find suspect in his apartment with human remains. Nikolai Shadrin’s friend has been missing since the beginning of May. 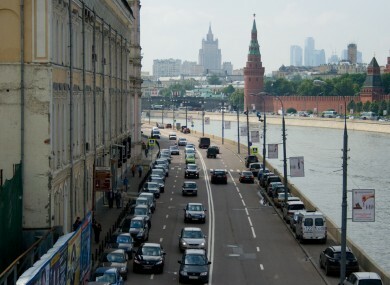 A MAN HAS been arrested in Moscow suspected with killing and eating parts of his friend. Nikolai Shadrin was detained at his apartment yesterday where it’s believed he killed and dismembered the body of 40-year-old Ilya Yegerov, reports the Herald Sun. Yegerov disappeared earlier this month. Parts of his body were found scattered around Moscow, a move which police believe was designed to hide the evidence of his murder. A human liver found in the fridge at the apartment Shadrin lived in is thought to be from the same body. Shadrin is said to have confessed to the crime. He has previously spent time in psychiatric care. Email “Cannibal arrested in Moscow had human liver stew in his fridge”. Feedback on “Cannibal arrested in Moscow had human liver stew in his fridge”.